Basic Entry Model Nylon Spray Skirts. Close Out Inventory. New-Old Stock, expect some dust from long term storage. Your Satisfaction, including size, is guaranteed. Limited size selection! 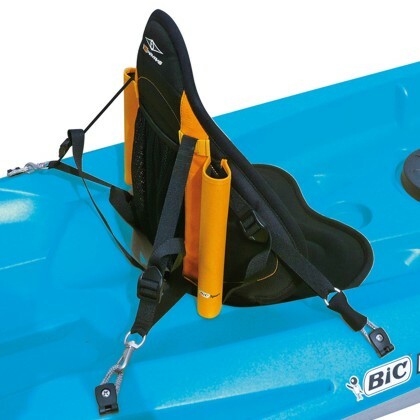 Standard Economy spray deck by Hydro Ponics for sit-in-side kayaks. 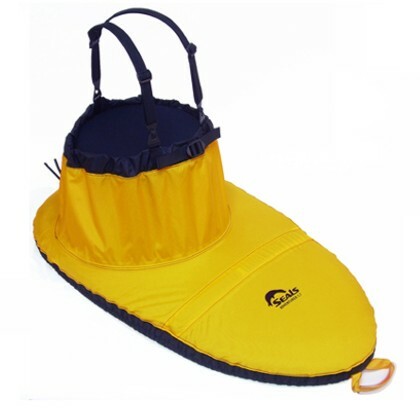 Made of coated nylon with adjustable bungee edge. Call 603-651-1036 for info on bulk discounts for schools, outfitters and clubs. 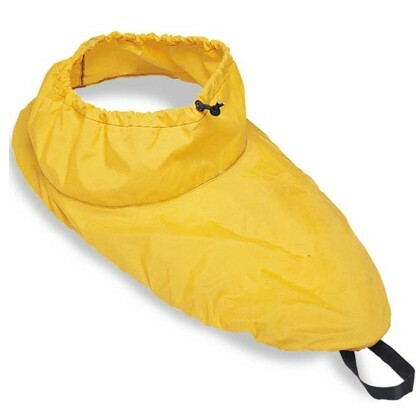 Two sizes in assorted colors; Red, Yellow and Black. Fully adjustable drawstring waist, one size fits nearly all waists. Use the Cockpit Dimensions Look Up Tool to find your kayak's size, in inches long by wide. Select closest match from list below. Number Zero size fits approximatly 26 x 18 inches. Called the Ocean Cockpit common on some British made sea kayaks such as the Valley Pin Tail, and Wilderness Systems Arctic Hawk. Our stock of Black Zero skirts are labled "custom made for Whites Kayaks". The Ocean Cockpit OC is nearly round, but not quite. Not to be confused with the Key Hole Cockpit (30x18 inches) that could take the no. 1 below. 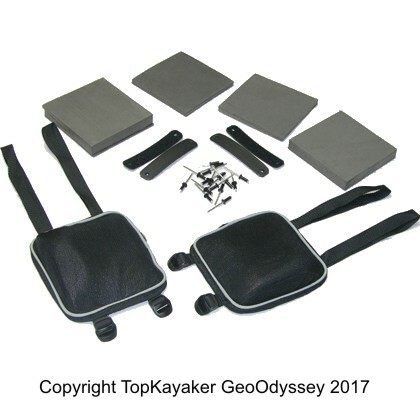 Number 1 size fits up to 31 x 19.5 inches, common size for some white water kayaks such as Hydra Dragon Fly, Perception Dancer XT and Mirage III or the Nordkapp HMC sea kayak. Two sizes in assorted colors. Select your size and color from the menus below. Close Out Inventory. Limited size selection. Available stock levels for each option will show in the menu below.